Hi, everyone. Today I’m honored and happy to have as my guest poster Jove Belle. She’s a fabulous author and crazy…I mean, wonderful person. 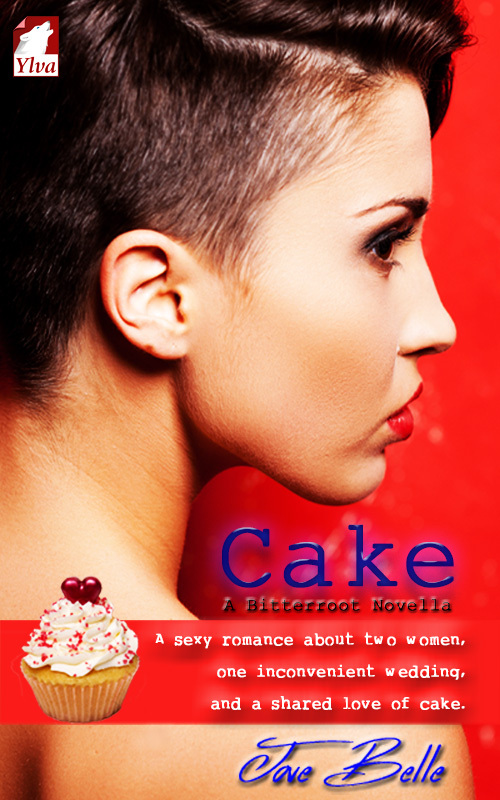 So here’s Jove to talk about her new novella, Cake. A while back, RG Emanuelle (my host for today’s blog) and Andi Marquette invited me to submit a short story to their new anthology called All You Can Eat. That anthology went on to be a finalist for the Lambda Literary Awards. That’s all kinds of fancy, folks. For that anthology, I wrote a short story. Then, I wrote another short story that I sent to RG and Andi. That first story, the one I wrote but didn’t submit, stayed on my computer until they sent out notice about the follow-up anthology, Order Up. Once again, I pulled out that original story. I reworked it a little bit and sent it to RG and Andi. Then, a couple days later, I told them to give it back. You see, I loved the characters just a little too much. I couldn’t just let the story be a short. The characters needed more words. That short story grew to be my new release, a novella called Cake. I hope you read it. And I hope you love it. Go ahead and read the blurb down there, then, if it appeals to you, head over to Ylva Publishing to pick up a copy of your own. One last thing, because it’s a food-themed book, I’m donating ten percent of the royalties to the United Nations World Food Programme. They feel the poorest people on the planet, and I really appreciate the work they do. You should check them out. Maybe make a donation if you can. Next Post Have A Bite Cover Reveal! And I think it’s awesome that you took that story back and turned it into something like this. WOOO!